There was one question on everybody’s mind in New York this spring: What happened to Rick Bell? 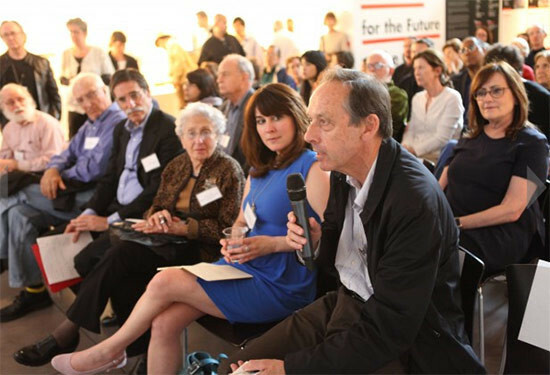 On March 27, without warning or explanation, the former executive director of AIANY and the Center for Architecture tendered his resignation, effective immediately, which AIANY’s board of directors promptly accepted. The unforthcoming announcement stirred up a steamy fountain of rumor and conjecture—very little of it fit for printing—over what could have precipitated Bell’s speedy departure, and AIANY’s continued reticence on the matter (there seems to be a gag order in place among its staff) hasn’t done anything to lessen the sheer salacious heights to which the gossip has climbed. Bell, for his part, doesn’t seem to be very phased by the upheaval. Eavesdrop spotted him at the Storefront for Art and Architecture’s annual benefit party—held this year in the unfinished lobby of the Rafael Viñoly–designed 432 Park Avenue—wearing a T-shirt that read “I Am Still Alive” and smiling like the cat that ate the canary. Also like a cat, Bell has landed on his feet. On May 8, New York City Department of Design and Construction Commissioner Feniosky Peña-Mora announced that the agency had hired him as its executive director of design and construction excellence. Meanwhile, in an interesting game of musical chairs, the AIANY appointed David Burney, who recently left his post as commissioner of the DDC, as its interim executive director. 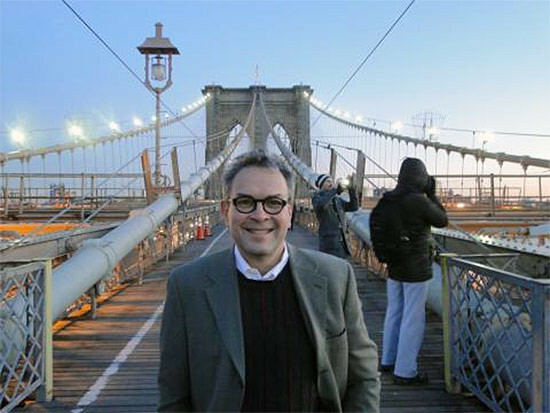 David Burney’s vast experience leading City agencies and his legacy of improving the quality of public projects in New York will be an invaluable asset to AIANY as we work with the current administration on issues concerning creating affordable housing and reducing carbon emissions, among others. David is a tremendous design professional and we’re excited to have him onboard in this capacity. The fourteen years at AIANY have been a wonderful part of my life, but it is now time to move on to undertake new opportunities. 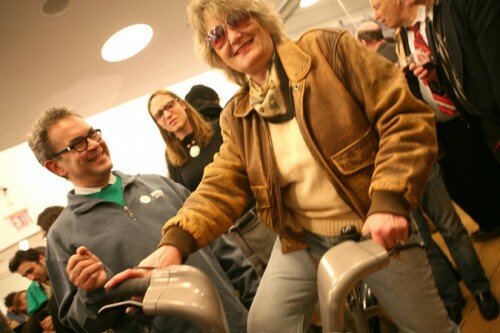 I am proud to have helped create the Center for Architecture which has grown into a meeting place and community center for all in the design professions, and which brings in architectural enthusiasts from around the world. I express my thanks and admiration for all of the hardworking staff and for the inspirational boards both past and present who have allowed me the privilege of being at this remarkable place. Rick Bell who has led the New York chapter of the AIA to period of tremendous growth since it moved into their storefront on LaGuardia Place has resigned. The AIANY and Center for Architecture Executive Director Rick Bell have issued the following statement: “Rick Bell [has] offered, and the organization’s Board of Directors has accepted, his immediate resignation. An interim Executive Director will be named next week and a search to find a new Executive Director will also begin at that time." With all the NYU real estate hubbub going on around LaGuardia Place in Greenwich Village, it’s refreshing to hear of a quiet transaction between two locals. This week, the AIANY signed the lease for 532 LaGuardia, an empty retail space owned by local lumber magnate Guy Apicella just one door south of the AIANY's current home, the Center for Architecture at 536 LaGuardia. AIYNY will take occupancy as of August 1, and plans are already afoot to nail down design concepts. “We’ll benefit from the best design advice in the city,” said AIANY executive director Rick Bell. Rogers Marvel has been hired as the architect and Mary Burke will head up AIANY's Premises Committee. The floor plate of the new building is about 1,200 square feet with about another 800 square feet available in the basement. All three levels at the Center’s current space net about 12,000 square feet, so the extra 2,000 will add about 10 percent more space, helping ease the strain of hosting more than a thousand programs each year. Also included in the deal is small garden space out back, on which the director hopes the Horticulture Society of New York will leave their green thumbprint. Bell jokingly compared the growing horizontal street presence to that of Uptown's Zabar's or Downtown’s J&R Music, both of which expanded storefront by storefront, eventually claiming an entire block. 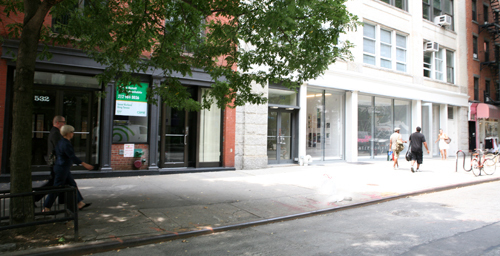 Perhaps NYU's gallery space at 528 LaGuardia will be next? An architects' row perhaps? But for all the extra sidewalk frontage, Bell said that the organization has no intention of bringing in any retail. “If Olympia (Kazi) were to get out of the business, maybe we’d reopen the discussion, but we don’t have plans for any,” he said, reiterating AIANY's steadfast support of VanAlen’s recently opened architecture bookstore. This is not to say that the Center will eschew commercial endeavors altogether, quite the opposite, actually. Bell said the “robust conference center” would be very attractive for corporate rentals—to say nothing of weddings and bar/bat mitzvahs.